Austin Cordeau and Mariam from Texas, US, were dogged by morbid obesity. For Austin, it refused to go away even after he went under the knife. Morbid obesity brought with it a host of health difficulties for Austin, 60, weighing 140kg, and his companion of many years, Mariam, 64, who tipped the scales at 129kg. Both are retired professionals who struggled to keep their weight in check. While Mariam suffered from diabetes, sleep apnea and hypertension due to morbid obesity, Austin had a sleep disorder . The couple first consulted doctors in the US, but were disappointed. Austin was operated on, but the surgery remained inconclusive. Besides, the surgical process was not covered under insurance . As a retired person, Austin could not afford another surgery in the US. They then heard of Indian’s medical advances, and decided to travel all the way down to India. 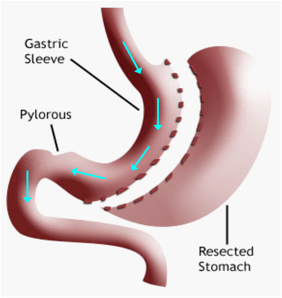 Mariam learnt from a friend about laparoscopic sleeve gastrectomy, a keyhole procedure done in Indian hospitals, which is much cheaper and result-oriented compared to the gastric bypass Austin had undergone. The couple underwent bariatric surgery and have since shed 5kg each. “Austin was evaluated in the US and went under the knife. However, the surgery could not be completed. While his gastric bypass surgery was under way, there was a suspected injury to the stomach and the procedure was abandoned. He took a long while to recover and his weight did not reduce,”. After the surgery , diabetic medications for Virginia have been halved and other medicines reduced. After a few weeks, she can stop most of her medications and can sleep easily, without using her machine. Austin is happy that the entire process was smooth and pain-free . They will lose more than 50% weight in the next six months.” “After my first surgery in the US, I was scared to go under the knife again. But we were counselled by a team of doctors. We’re both feeling very ‘light’ now and are looking forward to a healthy life.